Flyfishig today? Too windy. Birding today? Too windy. Tree limb trimming today? Too windy. 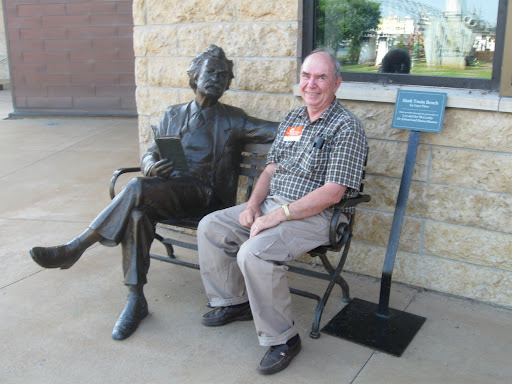 Instead, today, I had time to reflect upon a recent conversation I had with well known author and humorist Mark Twain. I had met him during a recent trip to Dubuque, Iowa. Mark Twain wrote hundreds of comments about the nature and cause of humor. This quote reflects my own view. "What is it that strikes a spark of humor from a man? It is the effort to throw off, to fight back the burden of grief that is laid on each one of us. In youth we don't feel it, but as we grow to manhood we find the burden on our shoulders. Humor? It is nature's effort to harmonize conditions. The further the pendulum swings out over woe the further it is bound to swing back over mirth." - Interview in New York World Sunday Magazine, November 26, 1905 Troutbirder - Actually, I’m from Minnesota, MarkMark Twain - I was there one winter a few years back and cold! If the thermometer had been an inch longer we'd all have frozen to death. Troutbirder - It’s my birthday tomorrow and I must admit I’m feeling my age!Mark Twain - Age is an issue of mind over matter. If you don't mind, it doesn't matter. 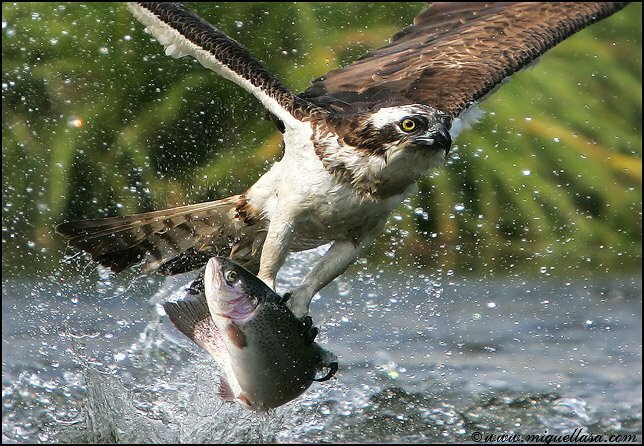 Troutbirder - On a serious note you probably know that we have been fighting in Iraq for many years now because of their weapons of mass destruction and support of the Muslim terrorists. Mark Twain -Statesmen will invent cheap lies, putting blame upon the nation that is attacked, and every man will be glad of those conscience-soothing falsities, and will diligently study them, and refuse to examine any refutations of them; and thus he will by and by convince himself that the war is just, and will thank God for the better sleep he enjoys after this process of grotesque self-deception.Troutbirder - But Sir, what about patriotism? Mark Twain - Patriotism is supporting your country all the time, and your government when it deserves it. It seemed fitting to finish reading this book here right before Memorial Day. Not a chronology or historical analysis of this oft written about war, instead O'Donnel has given us personal stories of the experiences of combat veterans in their own often reluctant words. 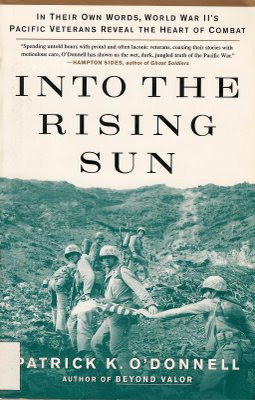 Into The Rising Sun is the truth about this most brutal of wars in the American experience. O'Donnel focuses on the elite troops who lead the way into the Pacific War. They were the Raiders, Paratroopers, Rangers, and Marauders. He writes that "the war remains a defining part of their lives. Refracted through memories that are now nearly sixty years old, a part of them is still in places they fought. They remember those who never returned. Some are still unable to talk about their experiences. Time and age have thinned their ranks. Every battalion or division has a newsletter that contain a roll of those who have passed, a list that grows longer with each month. The yearly reunions get smaller. But neither time no age can diminish their love for one another." I just finished reading Two Americans. It is a comparison of the origins and careers of two presidents from the middle of the 20th century. Truman and Eisenhower, an army officer and a politician in their fifties, they were unknown nationally when World War II began . With similar conservative small town middle American backgrounds, their knowledge of American society was heavily impacted by their careers. Eisenhower live an almost monastic life, sheltered from the hurly burly of every day contact with regular people by the army. Truman, in farming, business and then local politics knew people at that level. . Distinguished historian Miller (President Lincoln: The Duty of a Statesman, 2008, etc.) offers lively, well-presented parallel biographies. 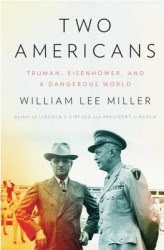 The author is primarily interested in comparing the experiences of these two men as they rose through the ranks of their chosen professions, and their approaches to government as exemplified by several specific issues: McCarthyism, in which neither president distinguished himself; civil rights, in which Miller finds Eisenhower severely wanting despite his use of troops in Little Rock; and their attitudes toward the possible use of tactical and strategic nuclear weapons. Peter Yarrow (born May 31, 1938) is an American singer who found fame with the 1960s folk music trio Peter, Paul and Mary. Yarrow co-wrote one of the group's most famous songs, "Puff, the Magic Dragon." He is also a political activist and has lent his support to causes that range from opposition to theVietnam War to the creation of Operation Respect. In 1962, the trio's first album, Peter, Paul & Mary was released. The album sold more than two million copies. The group toured extensively and recorded numerous albums, both live and in the studio. In October 1969, Yarrow married Mary Beth McCarthy of Willmar Minnesota. Paul wrote The Wedding Song (There is Love)" as his gift for their wedding and first performed it at St. Mary's Church in Willmar. He has two adult children. In 2000, he founded Operation Respect. 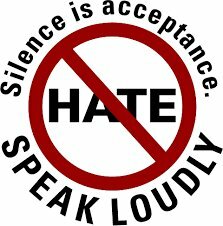 On behalf of Operation Respect, Yarrow has appeared, pro bono, in areas as diverse as Hong Kong, Vietnam, Bermuda, Croatia, South Africa, Egypt, Argentina and Canada. In all, the program has been presented to many educational leaders and more than 10 million children. In some form, the project has reached nearly a of all elementary and middle schools in America; at least 20,000 schools, in all. Although Mary has left us from the effects of cancer, it was a special moment to be able to attend a Yarrow concert last Saturday night in Rochester Minnesota. The sense of love and community was still there and the music... oh the music. In contrast to the greed, arrogance and "me" of today one can’t help but wonder "where have all the flowers gone?" Gettysburg, the greatest battle ever fought in North America, saw two American armies slaughter each other at an unbelievable cost of human life and limb. Thousands of books have been written about it. Peters new novel, historically accurate, plumbs the human side from generals to common soldiers. It is carefully crafted by a skilled author who takes readers far beyond a mere non-fiction account of the battle. It makes you feel like you were really there on those fateful three days. In his Author’s Note, Peters judges that "A novel about Gettysburg for our time must demonstrate war’s horror and appeal, while depicting the complex humanity of those who shoulder rifles or lead armies." In Cain at Gettysburg he clearly accomplishes that. In a different way this book surpasses the – until now – best-known, most widely read novel on the battle, Michael Shaara’s The Killer Angels (1974). That book written in the 70's era of particularly low esteem for all things military, provided a romanticism that was needed for a nation that seemingly had turned its back on the idea of heroes. Now we can read of the battle as it surely must have been experienced by those who fought it. 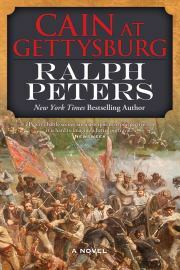 In the course of the book, Peters "rehabilitates" several leaders such a George Meade, new commander of the Army of the Potamac, and "Old Pete" Longstreet who was Robert E. Lee’s top surviving General and repeatedly advised the Souths hero against a foolish frontal attack at Gettysburg. "Fatally, [Meade] was not a political general and had little patience with newspapermen – with the result that he was damned by partisan scribblers or, when not attacked, ignored in favor of self-promoters and liars. The man who grasped the reins of an army literally overnight and saved the Union in the course of three desperate days of battle was demoted in the public mind to a drab second-rater, his victory credited to his subordinates. It was the worst injustice ever done to an American general."